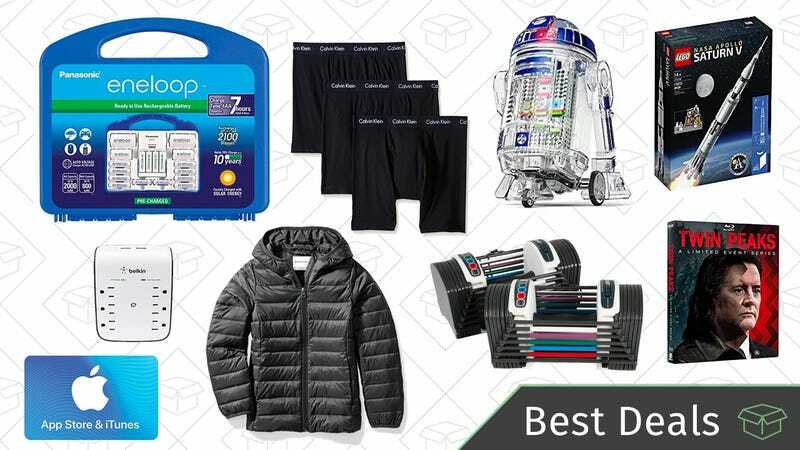 Pick up last-minute gifts and great deals on Eneloop batteries, Calvin Klein underwear, a puffer jacket Gold Box, and much more. The 12W Anker SoundCore and SoundCore 2 are the most popular Bluetooth speakers we’ve ever posted, but Anker turned things to 11 with the SoundCore Boost and SoundCore Pro, and both are on sale for about $40 today. The new SoundCore Pro features two full range drivers and two tweeters with a combined 25W of audio output, all pretty unique features in a portable Bluetooth speaker. Even with all that power, you still get 18 hours of battery life, and IPX4 splash resistance too. Just be sure to clip the $60 (!!) coupon on the product page to get it for $39. 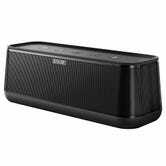 The more portable SoundCore Boost is also on sale for $40 with promo code XMASBD99. This one is closer in size to the original SoundCores, but it boasts 20W of power, IPX5 water resistance, and even a bass boosting button. The battery on it is smaller though, so you’ll only get 12 hours on a charge, which is still pretty great by most Bluetooth speaker standards. The Kindle Voyage probably isn’t worth it for most readers at $200—not when you can purchase a very good Kindle Paperwhite for $100—but it’s worth your consideration at $120. I own a Voyage, and I have to say, the pressure-sensitive page-turning “buttons” on the bezels are a pretty nice luxury that you won’t find on the Paperwhite. The glass front and ambient light sensor are definitely worthwhile improvements too. They’re all little things, but they add up to a reading experience that feels more natural, and a little bit less computerized. For a limited time, Amazon’s marking refurbs of the Voyage down to $120. That’s $80 less than buying it new, and about $50 less than the usual refurb price as well. Plus, you still get the same 1-year warranty that you’d get with a new Kindle, so there’s hardly any downside to going this route. Death, taxes, and a lack of power outlets. These are the only certainties in our lives, but you can actually do something about that third one. 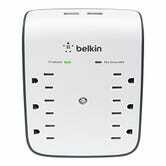 This Belkin SurgePlus surge protector includes six AC outlets, and even a pair of USB ports, all for $14, the best price of the year. 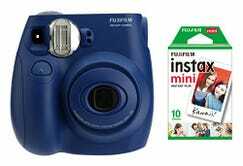 Instant film cameras are making a comeback, for some reason, and you can get the Fujifilm Instax Mini 7s for just $40 in today’s Amazon Gold Box, or $46 if you want to bundle 10 exposures. Have fun, you weirdos. It’s a matter of taste, but some might say that the new, cheaper Nest Thermostat E is even nicer looking than the original, while still packing in almost all of the original model’s features. It’s a bargain at its usual $170, but today you can get it for $130 from Verizon, or $139 from Best Buy with a free Google Home Mini for free. 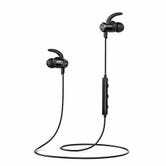 Update: The SoundBuds Curve aren’t discounted anymore, but the rest of the headphones sales are still going strong. 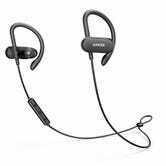 Even if you already have a good set of Bluetooth earbuds, it never hurts to have a spare for your gym bag or luggage, especially when you can get them for this cheap. 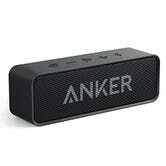 Three different styles of Anker’s popular SoundBuds are on sale today, all for $26 or less. 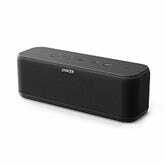 The Slims are great for general use, the Curves are ideal for exercise, and the SoundBuds Life boast a whopping 20 hours of battery life. You can’t go wrong with any of them. PowerLine - The original. Rubber-wrapped, and kevlar-reinforced. PowerLine+ - The same, but wrapped in Nylon for added durability, less tangling, and a better feel. 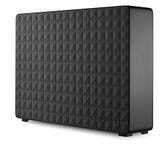 PowerLine II - A more durable version of the original, and backed by a lifetime warranty, but without the benefits of nylon wrapping. That confusion can now become a thing of the past, because they’ve combined the best of all of their cables into the new PowerLine+ II, and you can save on the 6' Lightning version today for the first time ever. It’s incredibly durable, it’s wrapped in nylon, and it comes with a lifetime warranty, meaning it’s probably the last Lightning cable you’ll ever have to buy. Get it in black or red today for $12, or about $6 less than usual, no promo code required. It’s not hard to find good deals on VPN subscriptions, but our readers’ favorite service, Private Internet Access, hardly ever goes on sale. This is the holiday shopping season though, so for a limited time, you can sign up for two years of the service for just $60, down from its usual $70. That’s just $2.50 per month to protect your browsing data, get around video geoblocks, circumvent proxy filters, and more. Anker’s reader-favorite SoundCore Bluetooth speaker spawned a whole line of products, but the original model is still great, and it’s never been cheaper than it is right now. The SoundCore’s headlining feature is its 24 hour battery life, and in my experience, that’s a conservative estimate. It also packs in dual 6W drivers for room-filling sound, and looks pretty great to boot. 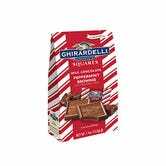 It’s been mostly selling for $30 lately, but you can get it for a stocking stuffer-friendly $24 today, no code needed. You don’t need to pay hundreds of dollars and fine an electrician to install cool lights over your kitchen sink: You just need $15. These OxyLED lights can stick to anything via adhesive or magnetic plates, and the included remote is also magnetized to stick to your fridge. Wi-Fi smart plugs have been around for awhile, and now they’re finally small enough to only cover up a single outlet. The TP-Link Smart Plug Mini is the same TP-Link Smart Plug you know and love, but you know, miniaturized. 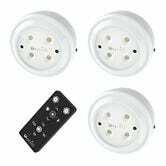 These allow you to enable and disable any power outlet remotely from a smartphone app, on a schedule, or even with Alexa. Just be warned, once you start buying these, you’ll want to automate everything in your house. Today only, get two of them from B&H for just $37. 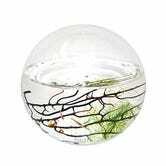 These self-sustaining EcoSpheres are the coolest and easiest pet you can have. 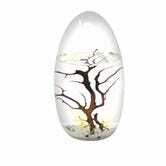 The hand-blown glass containers are closed, balanced, ecosystems, which means it contains everything the shrimp, algae, and microorganisms need to survive thrive, so you don’t have to do a thing. 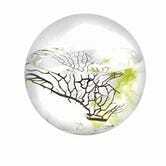 Today’s $44 price tags on the small sphere and pod are the cheapest these have been all year, and the medium sphere normally sells for $140, but is just $125 today. These would make an interesting gift, and an educational tool for the kiddos. 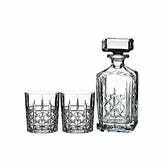 Raise a glass to this crystal decanter set. 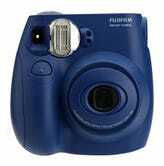 It’s on sale for $74 today and it has never been cheaper. This would also make a very nice for gift for the booze drinker in your life, and Amazon says it will arrive before Christmas. Cheers! Don’t be that guy that doesn’t clean up after his dog. When you can get 810 poop bags and a dispenser for $13, there’s no excuse. If you want save another 60 cents, sign up for Subscribe & Save and cancel at anytime. 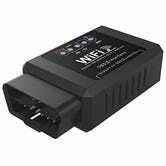 You’ve heard of Automatic’s smart driving assistant, but if nearly $100 is too rich for your blood, this cheap OBD2 dongle connects to any iPhone or Android device over Wi-Fi, and can fulfill many of the same functions using various third party apps. Update: If you were having trouble with promo code N3PVY69Q yesterday, it should be working now. The most obvious use case here is understanding and clearing check engine codes, but these things give you access to pretty much all of the sensor data in your vehicle, at a much more granular level than you’d get from all of the symbols in your instrument cluster. Amazon’s back at it again with the sample boxes, and their newest one includes six or more home goods samples from a variety of brands. And as always, you’ll get the $10 you spend on the box back in the form of an Amazon credit that you can spend on more home goods from this selection, meaning the samples themselves are basically free. You’re not guaranteed to get any particular item here, but my fingers would be crossed for the seven ounce jar of coconut oil. That stuff’s not cheap, and it’s the secret to making movie theater-style popcorn. 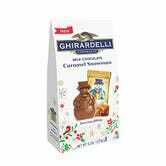 Amazon is discounting multi-packs of Ghirardelli chocolates with a 15% off coupon today, so you can knock out those impossible-to-shop-for acquaintances or big chocolate fans on your gift list in one order. Just remember, the discount won’t show up until checkout. This Hamilton Beach Belgian waffle maker was not listed as one of our readers’ favorites, but it does a lot of the same qualities - it’s easy to store and clean, lets you know when the waffles are done, and it’s just $19 today, which is the cheapest it’s been since July. At this price, buying this shouldn’t be a decision to waffle over. Buying headlight bulbs for your car before you need them will save you an inconvenient (and if it’s at night or raining, potentially illegal) trip to the auto parts store, and with this $5 Amazon coupon, you might as well stock up. Philips CrystalVision bulbs are the brightest bulbs offered, and come in tons of different sizes to fit most vehicles. Just note that you won’t see the $5 discount until checkout, and don’t forget to do a little Googling to make sure you’re getting the right set. We’ve all had to throw away leftovers or cuts of meat and cheese that spent a little too much time in the fridge or freezer, but vacuum sealing your foods can keep them safe from freezer burn pretty much indefinitely, and dramatically extend their shelf life everywhere else. It sounds like an expensive proposition, but today only, Amazon’s selling the well-reviewed FoodSaver Starter Kit for just $55, complete with everything you need to get started. Of course you can use this to store meats in the freezer for a long time, but it can also keep cheese from molding, lettuce from wilting, or cookies from going stale, just to name a few examples. Think about how much food you throw away, and you’ll get a sense of just how quickly this purchase could pay for itself. 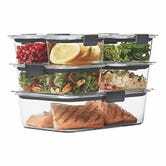 A fancier cousin to the uber-popular Rubbermaid Easy Find Lid storage set, this 14-piece Rubbermaid Brilliance set is just $20, down from its usual $25. These top-of-the-line containers are made from stain-resistant and odor-blocking materials that are safe for the dishwasher, microwave, and freezer. With built-in vents, they’re ready to go in the microwave without splattering and are 100% leak proof. They were $4 cheaper over Black Friday, but if you missed that and are in still in need of some nice containers, today’s $20 is a good price. Update: If you missed it yesterday, this deal is available again, though it won’t ship until January now. Those features alone (along with Quick Charge 3.0 charging) would make this worth $16, but it does have one last trick up its sleeve: A customizable accent light. The LED ring around the USB ports can display 16,000 different colors, and you can choose your favorite from the app to make it perfectly match (or stand out from) your car’s own dashboard lighting. We see solid Dremel discounts pretty frequently, especially around the holidays, but I think this is the first time Amazon’s ever bundled free gift cards with your purchase. 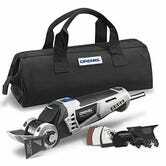 Three different Dremel products are included in this deal: A cordless rotary tool, an oscillating tool, and a handheld saw. 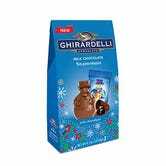 Just add one to your cart, add in a $25 gift card (you have to add it to the cart yourself), and you’ll get the gift card for free. 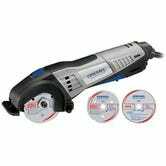 The cordless oscillating tool at $79 is a particularly enticing deal here, as that price is only $5 more than its all-time low, making this the best deal ever on that particular rotary tool. 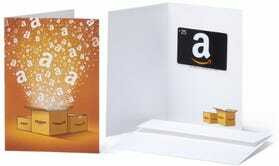 If you give it to someone as a gift, we won’t tell them that you kept the gift card for yourself. 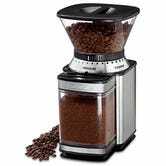 If you want to grind your own coffee beans at home (and you really should if you want the best flavor), you could do a lot worse than the Cuisinart DBM-8. 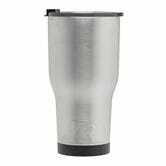 It’s affordable, it’s dead simple to use, it includes 18 coarseness settings, and it looks great. Sous-vide was already a stupid-simple way to make incredible meals with minimal fuss, but Mellow’s sous-vide cooker has features that redefine convenience. Let’s say you want a sous-vide steak for dinner. Normally, you’d have to get home from work, wait for your circulator to heat your water to the correct temperature, and then wait another hour or more for your food to cook. If you have a Wi-Fi-connected circulator, you could start the water heating process on your way home, but you’d still have to wait around while the steak cooks. Mellow fixes this hang-up with one key addition: Refrigeration. With Mellow, you prepare your meals before leaving in the morning, or even the night before, specify what time you want to eat, and place your food bags in the cooker. Mellow will keep the water cold enough to keep food from spoiling, and start the cooking process just in time for your meal to be finished as you walk through the door. It’s sort of like a slow cooker, but instead of mushy cat food, it produces restaurant quality meats and vegetables. Mellow normally costs $400, but it’s $100 off for the holidays, and you can add a pack of 20 bags for free with your order with promo code GIZMODO10. Just be sure to add both the bags to your cart (you’ll see the option after adding the cooker to your cart) to make the code work. 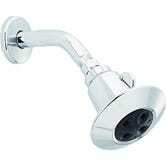 The shower head that came preinstalled in your home or apartment is probably terrible, but if you don’t have the cash to upgrade it to a Delta In2ition, the Delta 75152 is a fantastic option for just $14, an all-time low. Aside from a single switch that toggles between 2.5 and 1.85 gallons per minute, this showerhead doesn’t have any notable features to speak of. But I can tell you from years of experience that its water coverage is beyond excellent. Each of the four valves uses Delta’s H2Okinetic system to agitate the water and create a full, perfectly dispersed wall of water, rather than four individual streams. It’s a difficult sensation to describe, but I absolutely recommend you try it for yourself, especially at this price. 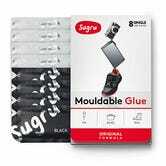 Sugru is right up there with binder clips and the Raspberry Pi in Lifehacker’s pantheon of must-have gear, and you can stock up today with four black and four white packs from Amazon for just $11, the best price Amazon’s ever listed. If you have any flights on the horizon, this discounted Southwest gift card can make your ticket just a little bit cheaper. The best part is that even if you book the lowest fares, you can always change them with no penalty, and even cancel for a refund in the form of a 1-year voucher. 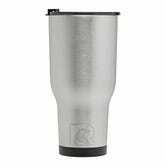 Stainless steel vacuum insulated tumblers make great stocking stuffers, and RTIC’s newly redesigned 30 ounce and 40 ounce models are both on sale for $10 or less. Amazon’s Gold Box is full (two pages full) of up to 50% off Calvin Klein underwear, bras, undershirts, and more. Men’s and women’s styles are included, and there are a ton of 3- and 4-packs, so you can stock up. Or, be that guy and get someone underwear for the holidays.